Perfection is a great goal for designing and manufacturing of vehicles, but is not a great way to measure success in ourselves. I read a quote this week that says, “The pursuit of excellence is gratifying and healthy. The pursuit of perfection is frustrating, neurotic, and a terrible waste of time” (Hansel). I know that feeling – all too well. No too long ago, I learned in a counseling session that I struggle with perfectionism. When my counselor suggested this, I argued. Anyone who has seen the clutter in my office would not expect to find a perfectionist. Most who have worked under my leadership would not see me as a perfectionist. I don’t have the markers of traditional perfectionism. The reason is that I only expect perfection from one person – me. What I learned is that I am not very forgiving of myself and my mistakes. I think, deep down, that I should be able to be perfect, especially in my relationship with God. But I know how far from perfect I am. My counselor suggested that I “lighten up” on myself. So when I bump up against the words Jesus uses to conclude this section of the Sermon on the Mount, I struggle. “Be perfect, therefore,” Jesus says, “as your heavenly Father is perfect” (Matthew 5:48). Perfect. Great. And not just perfect compared to others, but as perfect as God. Jesus appears to be encouraging this side of me that I find frustrating, neurotic, and a terrible waste of time. As we learned last week though, pulling a verse out of its context can lead us to a mistaken understanding that does not reflect the intent of the entire passage. Which is true in this case as well. Jesus isn’t calling us to be perfect in our performance, but rather calling us to a new kind of perfection. This morning I will begin by making some comments about what we have read this morning. Then take some time to find out what Jesus is really saying about perfection. Biblical Context where we look at the entire narrative of scripture for a fuller message than just one quote. Today’s scripture is a continuation of the section of the Sermon on the Mount we read last week, so nothing has changed in regards to the immediate context. In this portion of the sermon, Jesus is addressing laws using a repeated pattern. He begins each one by saying something like, “You have heard it said…” and brings up a Law – usually one of the Ten Commandments. He then follows that up by saying, “but I say to you…” and offers something else. Very clearly Jesus states that he is not replacing the law, nor is he giving something new. Rather, Jesus says that this section is somehow a fulfillment of the Law that Moses given on Mount Sinai. You may also remember from the first sermon in this series that Pastor Bob reminded us that Jesus doesn’t say that “his teaching” is the fulfillment of the Law, but rather that HE himself is. Jesus’s prologue ends with a puzzling sentence. “For I tell you,” Jesus says, “unless your righteousness exceeds that of the scribes and Pharisees, you will never enter the kingdom of heaven” (Matthew 5:20). Throughout the gospels we find Jesus criticizing the scribes and Pharisees for their meticulous attention to the Law. This verse seems to contradict that as he tells his followers to “exceed” the righteousness of the scribes and Pharisees. When we apply our techniques number 2 and 4, the author context and biblical context, we know that this cannot be what Jesus is saying. So we look for clues elsewhere. Woe to you, scribes and Pharisees, hypocrites! For you tithe mint, dill, and cummin, and have neglected the weightier matters of the law: justice and mercy and faith. It is these you ought to have practiced without neglecting the others. Do you hear the “exceeding” part? Don’t neglect the law, Jesus says, which the scribes and Pharisees would have certainly agreed with. But as you do, Jesus continues, do not neglect the weightier matters of the law which he names as justice and mercy and faith. Reading today’s passage through this lens, will not allow us to view Jesus’s “but I say to you…” statements as stricter law for law’s sake. Instead we begin to hear the law as it was originally intended – to be practiced with justice and mercy and faith. So then when we read that Jesus said, “You have heard that it was said to those of ancient times, ‘You shall not murder’… But I say to you that if you are angry with a brother or sister, you will be liable to judgment” (Matthew 5:21-22) we hear not simply a law to obey regarding anger, but a call to treat even those who make us angry with justice and mercy and faith. When he talks about adultery and lust, we hear more than a law that should cause us to want to pluck our eye out, but rather a call to look at the people around us with justice, mercy & faith. When Jesus confronts a law that allows for divorce for any reason if you do it legally, we hear Jesus calling us to recognize that it is not just about right and wrong. Instead it is about treating our spouses with justice and mercy and faith. Then when Jesus addresses the command about oaths and not “swearing to God” he is calling us away from the temptation to look for loopholes that allow us to take advantage of the people around us, and instead treat the people with whom we have business dealings with justice and mercy and faith. In today’s text, which immediate follows the one we dealt with last week, Jesus gives two more “you have heard it said… but I say” saying. Both of the ones for today deal with people with whom we are in conflict. “You have heard that it was said,” Jesus begins, “‘An eye for an eye and a tooth for a tooth’” (Matthew 5:38). Here Jesus is talking about a law that is not one of the Ten Commandments, but appears three different times – once in each of three books of the law – Exodus (21:22–25), Leviticus (24:19–21), and Deuteronomy (19:16-21). The intent of this law was to ensure that the punishment fits the crime. It was originally intended for one to receive restitution for when wronged while not allowing for revenge. Some things never change. Every parent knows that all children think it is a viable defense for violence against a sibling to say, “buy he/she hit me first.” Eye for eye, tooth for tooth, slap for slap, punch for punch. She hit me. I get to hit her. After all, what’s fair is fair. Jesus calls us away from vengeance and toward justice and mercy and faith. “But I say to you…” Jesus continues, “if anyone strikes you on the right cheek, turn the other also” (Matthew 5:38-39). A little study into the historical context reveals that it was commonly understood by Jesus’s first listeners, that being hit on the right cheek was the greatest insult one could receive from another. So when Jesus says to “turn the other cheek,” he is saying that when someone does to you the most insulting thing you could imagine, take it and do not retaliate. He then applies this same principle to legal issues. “If anyone wants to sue you and take your coat,” he goes on to say, “give your cloak as well” – give them the shirt off of your back. Opting for justice and mercy and faith even toward them. Finally he applies this “turn the other cheek” thinking in a far more radical way. Immediately upon hearing the next piece, “if anyone forces you to go one mile,” the people in the audience would have known that Jesus was talking about a particular issue of the day. Under Roman law a Roman soldier could require any civilian in an occupied land to carry their pack for one mile. Imagine the feelings of disdain that must have filled the Hebrew people listening when Jesus raises this image. They must have thought Jesus would offer a clever way of resisting the hated Romans, or maybe a way of making the soldiers look foolish. No. He tells them instead to go above and beyond what was mandated and go a second mile. Justice and mercy and faith even extends to the Roman soldier. Wow. Then Jesus takes it even farther with his next saying. “You have heard that it was said,” Jesus says following the pattern, ‘You shall love your neighbor and hate your enemy’” (Matthew 5:43). 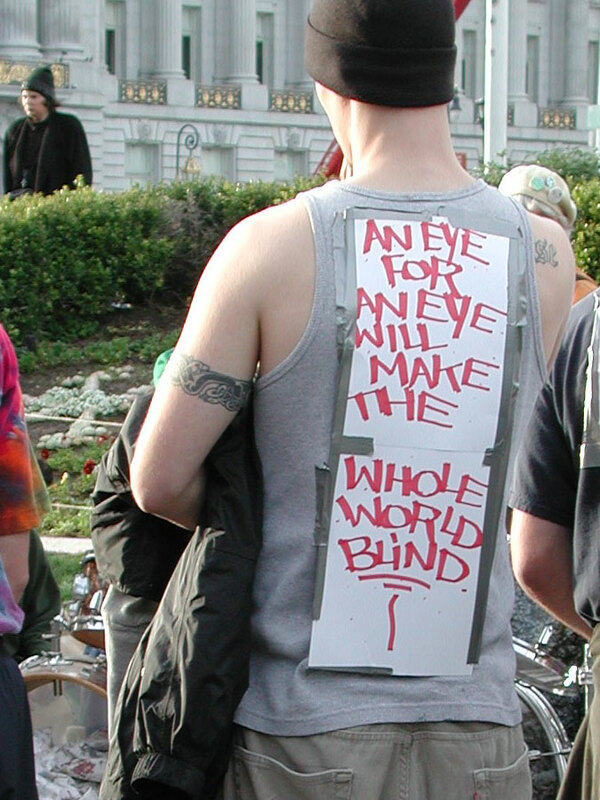 The “love your neighbor” part of that saying is found In Leviticus 19:18 where we read, “You shall not take vengeance or bear a grudge against any of your people, but you shall love your neighbor as yourself: I am the Lord.” But the “hate your enemy” part must have been a common application in that day. The people had found a loophole. They could still hate their enemies and technically be obeying the law. 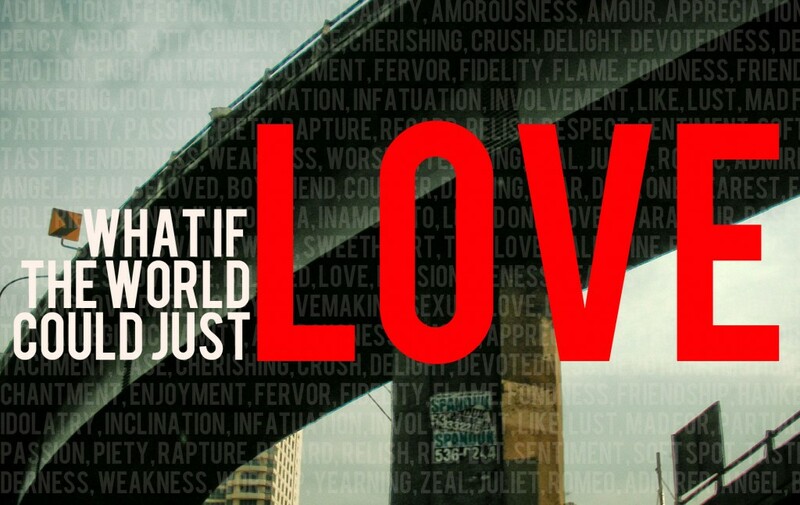 Jesus answers this by calling his followers to love like God loves. God doesn’t discriminate. He sends the sun to everyone regardless of whether they are good or not, and the rain (which was considered a blessing by this agricultural society) whether they are righteous or not. I wonder how many people walked out during this part of the sermon. When Jesus talks about loving and praying for your enemies and persecutors, he is saying something that is exactly opposite of common messianic thought. As you have probably heard many times before, the Hebrew people were looking for a messiah that would lead them in conquering their enemies, namely the ruling forces of the Roman Empire; and punish their persecutors. Like Moses had led the people to freedom from slavery in Egypt, the messiah was expected to free them from Roman oppression. As Joshua had led the Israelites in a battle to take the Promised Land, they believed the messiah would lead them in a battle against the Romans to take it back. Jesus is not interested in just the restoration of Israel. Jesus is interested in ushering in the restoration of the entire world, a new creation, the Kingdom of Heaven. Jesus’s ministry is calling for his people to be agents of the future kingdom in the here and now. So again Jesus calls his followers to go beyond their own people, and extend justice and mercy and faith to everyone, even the enemy. Then Jesus concludes this thought of loving the way God does with that annoying little line that is often misunderstood. He says, “Be perfect, therefore, as your heavenly Father is perfect” (Matthew 5:48). Last week I introduced four techniques that help us understand scripture more fully: immediate context, author context, historical context, and biblical context. Today I want to add a fifth. At times it is helpful to look at linguistics. We want to be sure that we understand any nuance from the original language that may not be fully understood in the word-choice of the translators. Today we need to look at the word “perfect” that occurs twice in this verse. Both occurrences are translations of the Greek word teleios. For us, to be perfect would be that we never make a mistake, that we are flawless, that we match an ideal, or for that we follow God without error. Teleios has a bit of a different sense of perfection. In fact, when you look up the word teleios in a Greek dictionary the first definition is not “perfect” but rather “having reached its end, finished, complete” (Strong). A form of this word was used to tell when fruit was ripe – ready, complete, finished, perfect. In a word, what I’m saying is, Grow up. You’re kingdom subjects. Now live like it. Live out your God-created identity. Live generously and graciously toward others, the way God lives toward you (Matthew 5:48 Msg). I like this rendering because of the way it deals with teleios. One author talks about this understanding of perfection by remembering how there was a time that as a parent he had said that he had a “perfect four-year-old.” He asserts that he was right, at the time. Their child was developmentally exactly where they ought to be at the age of four (Harper 88). If that child is still acting the same way at 44 – well, that’s not perfect. So perfection in this sense is not an “achievement,” but rather still calls for further development as we progress. Remember that we have said that throughout this section of the Sermon on the Mount, Jesus is not talking about obedience to the law. We know from the prologue that Jesus is calling his disciples to exceed the righteousness of the scribes and Pharisees which we understand as living the Law out with justice and mercy and faith. Put in its proper context, we hear Jesus calling us away from a measuring stick of perfect performance toward something else. Therefore, a good way to understand is verse about perfection is to think of it this way: be perfect, therefore, not as the scribes and Pharisees are perfect, but as your heavenly Father is perfect. That gets to the heart of this fundamental, paradigmatic shift to which Jesus is calling his followers. As I said last week, the Pharisees were very good at the me-and-God business, could not have cared less about the me-and-everyone-else stuff. They were concerned with obedience that would lead to their own salvation, and took it upon themselves to point out where others falling short of that obedience, thus elevating their own status. This seems to be true of some Christians today who have become the new Pharisees – not of the Ten Commandments, but of this section of the Sermon on the Mount. They seem to see themselves as the example of perfect obedience and annoyingly try to hold others to that standard as well. Jesus is calling us, his disciples, away from that Pharisaic thinking to a new understanding of performing the weightier matters of the law – justice and mercy and faith. Jesus is calls his disciples not to be perfect in obedience to the letter of the law, but to be complete (teleios) in obedience to those weightier matters of justice and mercy and faith. Let me illustrate this in a weird way. I’m a bit of a sucker for a good (and sometimes not-so-good) sports movie. If I’m flipping channels and Rudy is on, I will stay with it until someone in the room begs me to change the channel. I own Remember the Titans, one of my favorites, and recently bought the 20th anniversary edition of Bull Durham, with the excuse that I want to use part of it in a project I’m working on. I think Coach is using the word “perfect” in a similar sense to the way Jesus uses it here. It is not about doing it all perfectly, but rather it is about giving it your all in pursuit of justice and mercy and faith. As an aside: I don’t know if the writers, directors, or producers know this, but I find it interesting that after this speech redefining perfection, Coach has one of the players lead the team in the Lord’s Prayer. That is exactly what happens in the Sermon on the Mount. Jesus’s next section is on our spiritual disciplines and includes the Lord’s Prayer. Quite a coincidence. Coach says something in his speech that I find interesting: “forever is about to happen here in just a few minutes.” I know he is talking about the second half of this championship football game which these guys, most of whom will never play football again, will remember for the rest of their lives. But that quote brings me to another nuance of the word teleios. “One key element of living as a Christian is learning to live with the life, and by the rules, of God’s future world, even as we are continuing to live within the present one” (Wright 124). When I get to feeling that God is not happy with me, and may have withdrawn his love from me, I sing. 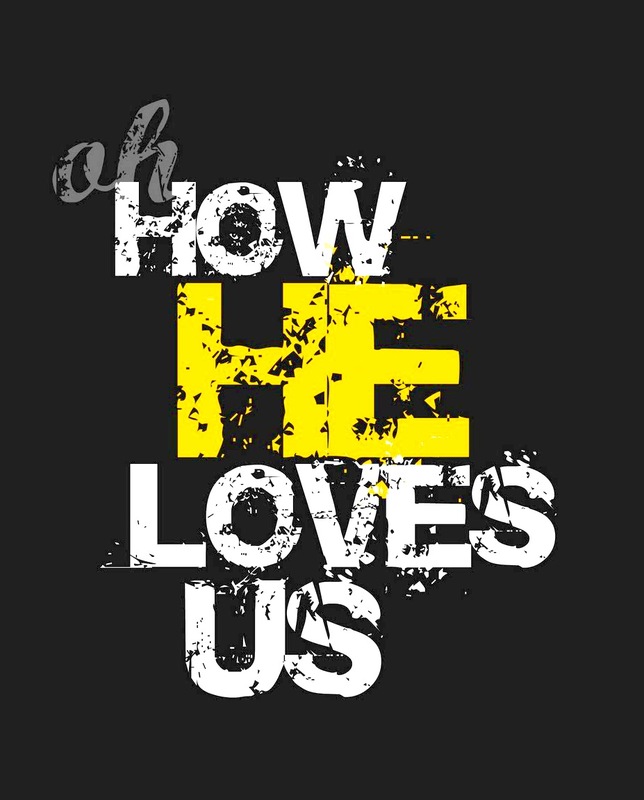 I sing a song I first learned from the David Crowder*Band but was written by John Mark McMillan called “How He Loves.” Someone once said this song is “Jesus Loves Me” for adults. I think they are right. McMillan wrote the song at a time when he was deeply questioning and doubting God. In his struggle he began to wonder if God would continue to put up with his faithlessness and anger. As a reminder that God loves even the messy parts of our lives, he wrote this chorus, “he loves us, oh how he loves us.” Oh, how I need to hear that. Remember this is not about perfect performance. It is about being filled with the perfect – the Holy Spirit – that allows you to live the kingdom life of the future in the present. It’s about perfect love. It’s about being perfect, not in obedience to a set of rules like the scribes and Pharisees are perfect, but rather in having that law fulfilled in you in justice and mercy and faith. May we exceed the righteousness of the scribes and Pharisees of the first century and the 21st century. May we be found in the relentless pursuit of teleios. Amen. Hansel, Tim. Eating Problems for Breakfast. Word Publishing, 1988, p. 39 as quoted and annotated at http://www.sermonillustrations.com/a-z/p/perfection.htm. Harper, Steve. 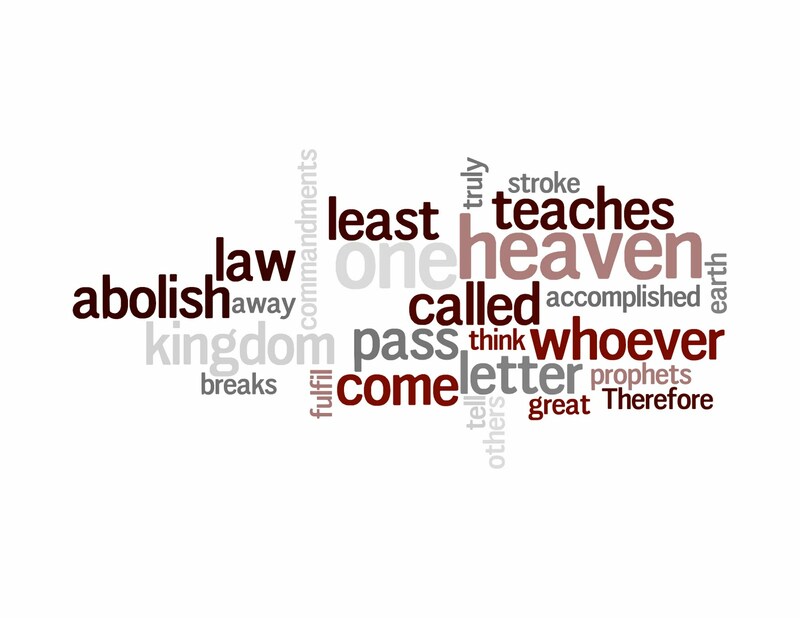 The Way to Heaven: the Gospel According to John Wesley. Grand Rapids, MI: Zondervan, 2003. Peterson, Eugene H. The Message: the Bible in Contemporary Language. Colorado Springs: NavPress, 2002. Accessed online at http://biblegateway.org. Strong’s Greek Lexicon online at http://studybible.info/strongs/G5046. Wright, N. T. Simply Christian: Why Christianity Makes Sense. San Francisco: HarperSanFrancisco, 2006. Thank you so much! I love the Romans 8:1-2 scruptire! So true and brings such freedom in today’s world! Bless you! Come back again! This is awesome! I enjoyed reading this so much! 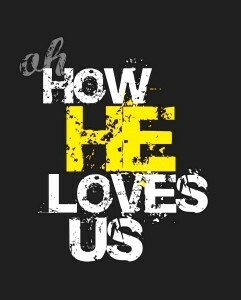 The fact that Jesus died for us, and the amount of love that he has for us is amazing! Thank you!